The ecumenical conversation reaches a new level in the US! Link HT Matt - very very funny! An interesting statistic lost amidst Obama's growing popularity is the plummet in the popularity of George W Bush... his popularity is now at 23%... that means he is less popular than Richard Nixon after Watergate (26%) and only one percent most popular than the most unpopular President in History, Harry Truman in 1952 (22%)! Makes life for McCain difficult - how does he distance himself from Bush yet keep the Conservative vote? 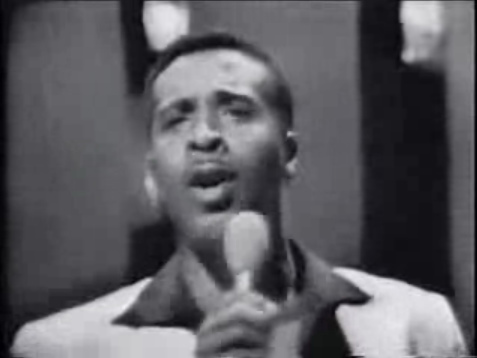 Levi Stubbs, original lead singer of the 4 Tops has passed away aged 72 in Detroit... Motown, of course. 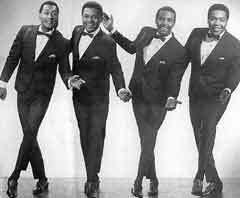 One of the greatest Soul voices - up there with the likes of Marvin Gaye, Sam Cooke, Otis Redding and Stevie Wonder...RIP Levi. Jesus now spoke again. "Mack, I don't want to be the first among a list of values; I want to be at the center of everything. When I live in you, then together we can live through everything that happens to you. Rather than a pyramid, I want to be the center of a mobile, where everything in your life - your friends, family, occupation, thoughts, activities - is connected to me but moves with the wind, in and out and back and forth, in an incredible dance of being." "And I," concluded Sarayu (The Spirit), "I am the wind." I might pick out a few other thoughts if I have the time. My thoughts have partly grown from Philippians 4 - to be at peace with each other, to bless each other, to rejoice in God's immanence and faithfulness, to pray faithfully and in faith, to live a life of blessing and peace which reflects Christ. Finally, brothers, whatever is true, whatever is noble, whatever is right, whatever is pure, whatever is lovely, whatever is admirable–if anything is excellent or praiseworthy–think about such things. Whatever you have learned or received or heard from me, or seen in me–put it into practice. Mackenzie (Mack) Allen Philip’s, an ordinary American, though one with a painful past of his own, decides one weekend to take his kids on a camping trip in the mountains of Oregon. Nothing unusual – just a fun filled weekend of campfires, hiking, canoeing and enjoying the great outdoors. Until tragedy strikes in the most unexpected way. Mack’s two older kids are out canoeing when they lose control and the canoe flips over. The reader naturally expects that one or both of them drowns, but Mack succeeds in saving them. Yet while his attention is focused on saving them, a serial killer abducts his younger daughter Missy. As the search progresses, the dress she had been wearing is found torn and bloodied in a Shack, high up in the mountains, implying that she has been murdered. 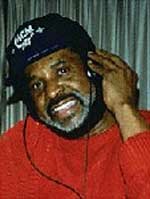 What follows for Mack is a time of several years described as The Great Sadness. Mack cannot forgive himself, and perhaps understandably, he blames God for allowing such a tragedy to happen to him. His relationship with God only worsens, becoming stoic and devoid of emotion. Until, one day Mack finds a note in his post box, signed “Papa” (God) inviting him to return to the Shack. Unsure if it is a cruel joke, a trick by the killer or whether it really is God trying to speak to him, curiosity gets the better of Mack and he decides to return to the scene of his daughter’s murder. Here the story departs from reality as we know it (and indeed where the reader may feel comfortable) and enters a world where Mack meets God – Papa (God) portrayed in the form of a black woman, Jesus as an ordinary man in jeans and t-shirt, and Sarayu (The Holy Spirit) as an Asian woman. Mack spends the weekend with them in a world where time and reality no longer exists as we know it, and during that time finds healing, peace, deeper understanding and forgiveness about life. It’s not easy, for the questions he has to face are challenging and painful, but gradually Papa, Jesus and Sarayu work to bring about healing in Mack’s life and enable him to understand what a relationship with them is supposed to be and how that reflects in his relationship with others. It might be worth noting that the book makes clear why Papa (Elouisa) God is depicted as an African Woman... the reason being that God is both male and female (supra-gender) and both are created in God's image, Mack primary image of God is as a white male, therefore to challenge his preconceptions God appears as a black woman... Young does not suggest that God IS a black woman anymore than God is a white man! Would you like to go on a journey of discovery and personal growth and find out how you can become all that you were meant to be vocationally, personally, socially and spiritually? Make Believe is an innovative course designed to help you realise your potential and develop your gifts in the light of God’s call on your life. You will become part of a unique learning community as you work through three carefully crafted interactive modules over eight weekends. You are “wonderfully made” and Make Believe wants to help you realise just how wonderfully – and the purpose that God has for you. CMS have been working with the "Make Believe" team (Johnny Sertin and Mike Morris) to bring this excellent course to a wider audience. Having heard much about the way it has been run so far, I have absolutely no doubt it will be worth being part of. The course is a series of eight weekends, one every four weeks, from January to July. Each weekend starts at 10am on the Saturday and finishes at 3:30pm on the Sunday, including activities throughout the evening on Saturday. I've been struck many times over the last decade or so how often the call for mission is raised as a response to the state of the Church. The attendance statistics etc. are trotted out in an attempt to challenge the Church on it's use of resources, on how it spends it's time or allocates it's cash etc. Mike Frost talked on Thursday about what do we organise Church around... do we organise it around worship - mission/evangelism focussed on invitation to our Worship meeting, creativity focussed on producing our Worship meeting, evaluation and discipleship based on attendance at/participation in our worship gathering etc. So when numbers begin to drop we ask ourselves what do we do to build up the numbers, the health of the church is measured by the worship gathering... so... as we face the apparent death of church as we know it we begin to ask "What are we going to do?" and what we decide to do is more often than not based on the simple question... what will get most people "in"? The missional imperative cannot come from that understanding of church... why? Well, to begin with it has (at least) two linked problems... 1) Churches that do not have a problem filling their pews (for whatever reason - centralisation, the brain drain, transference, even growth etc.) have no need for urgency, so Mission becomes the task of the "failing" churches, and 2) we will fall into the trap of focussing on what we do "in" the church, we become production focussed - we believe that we must first make what we do in our worship gatherings as "good" as possible so that a) people will want to come and b) they will want to stay... to put it crudely we have to keep them entertained! Frost says that we need to make a shift from having worship as the organisational hub of the church to seeing mission as the catalyst from which the life of the church flows... he says that mission does not necessarily flow from worship, worship however, naturally flows from being missional - as we engage we find that we need to come before God on bended knee and as we encounter God at work in the world we respond with real praise etc. - Discipleship, he says, does not happen from simple attendance/participation in Church (something even Willow Creek now recognise) but comes from faith at the coal face of culture... Much as we hate to admit it, Church is almost universally organised around the worship gathering, mission has become a tool of maintenance! We have good new to tell... It is not communicated if the question uppermost in our minds is about the survival of the church in the inner city. Because our society is a pagan society, and because Christians have in general failed to realize how radical is the contradiction between the Christian vision and the assumptions that we breathe in from every part of our shared existence, we allow ourselves to be deceived into thinking of the church as one of the many 'good causes' which need our support and which will collapse if they are not adequately supported. If our 'evangelism' is at bottom an effort to shore up the tottering fabric of the church (an it sometimes looks like that) then it will not be heard as good news. The church is in God's keeping. We do not have the right to be anxious about it. We have our Lord's word that the gates of hell shall not prevail against it. The nub if the matter is that we have been chosen to be the bearers of good news for the whole world, and the question is simply whether we are faithful in communicating it. (edit) When Newbigin refers "the tottering fabric of the church" I don't think he is primarily talking about "fabric" in terms of our buildings, I think he means the institutions, traditions and the human structures that we hold on to.